It's incredible, and somewhat disappointing, that one of the greatest contributors to the health and survival of humanity is rarely, if ever, remembered by the public. 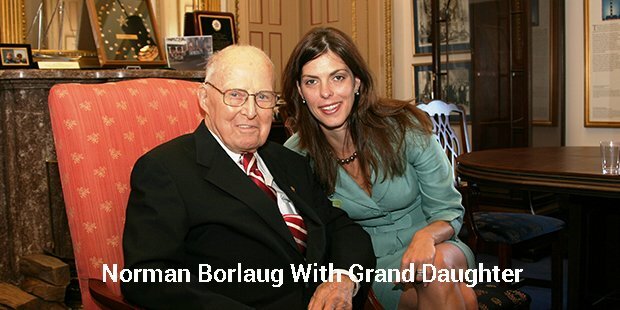 Normal Borlaug, born in Cresco, Iowa, on March 25th, 1914, has been responsible for the survival of over one billion of the world's poorest people through his programs of efficient farming, crop survival, and food security. Born in Iowa in the first quarter of the 20th century, Borlaug pulled many of his earliest life lessons from his involvement in high school sports. A founding member of his high school's wrestling team, he credits the sport with teaching him that he could stand on his own and persevere in any situation. After studying genetics and plant biology at college, Borlaug graduated aiming to work on a variety of plant-based lab studies. Instead, he ended up applying to serve in World War II, following Japan's attack on Pearl Harbor. His research and lab skills resulted in him being assigned the job of creating solutions to American infrastructure problems, including developing waterproof military glue. During the later years of the war, he moved to Mexico as part of an effort to improve the country's food yields. Under Borlaug's leadership, his team created a variety of wheat that produced twice as much edible food per crop as its previous incarnation, resulting in the rapid expansion of the food resources of the country. Borlaug's discovery was considered a turning point for world hunger. Similar research into wheat and other crop yields continued in Mexico for sixteen years, with the team, and Borlaug himself, spending much of the year in the country and little time at home. His research resulted in even higher yields for farmers in the country, and soon Borlaug was expanding the effects of his research into many of South Asia's most impoverished and hungry countries. The phenomenon was dubbed the 'Green Revolution' – a new era for food producers, and a new chance at life for many of the world's poorest people. 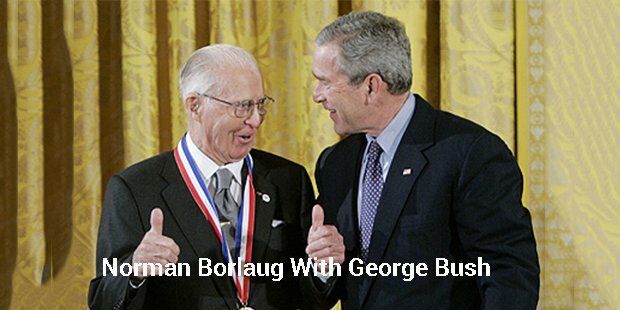 Food yields increased steadily during the team's involvement in research projects, with Borlaug eventually being awarded the Nobel Peace Prize in 1970. Upon hearing of his prize, Borlaug initially thought his wife was joking to him. Despite his immense contributions to humanity, Borlaug has his detractors. 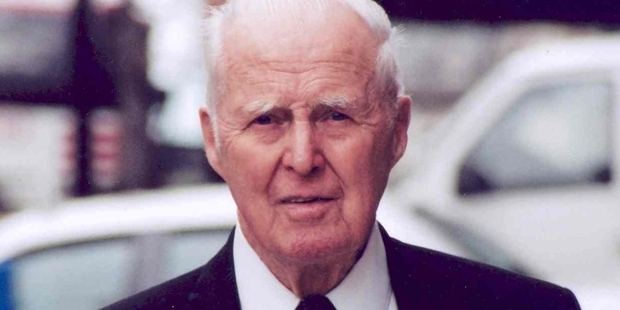 Critics claim that his farming methods have contributed to deforestation, a charge that Borlaug denied until his death. Evidence suggests that his methods for crop efficiency have actually reduced the amount of bush and forest that's destroyed in farming, by improving the efficiency of crops per square mile. Others have claimed that his involvement with genetic mutations of plants is unnatural and against the focus of science. Borlaug has again denied that this is the case. While he has always defended himself and his contributions against critics, he claims that their opinions are important, and help him ensure that the work he contributed to farming was in good faith and in good science. At the age of 95, Norman Borlaug died in his Dallas home. Right until his death, he continued to advocate for new farming techniques and technological innovations in farming, attracting a great deal of praise and criticism from both scientists and politicians. While he may be gone, his giant contribution to humanity a source of food for billions of people – will be felt for generations.